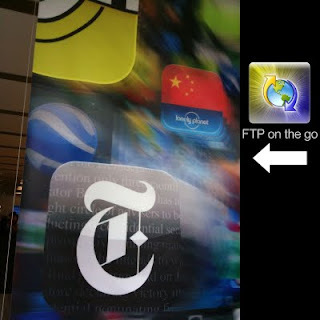 Another Apple Store display featuring the FTP on the Go logo! This time, the logo is blurred enough so that it is nearly unrecognizable. But it's there.